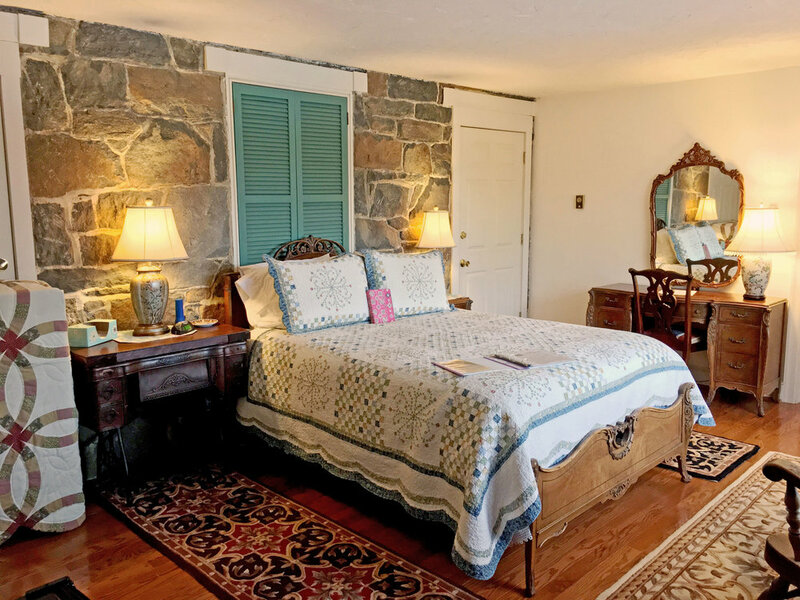 With a master bedroom with a king bed and a second bedroom with two twin beds, this is a great room for a family or group. A large picture window looks toward the pond. 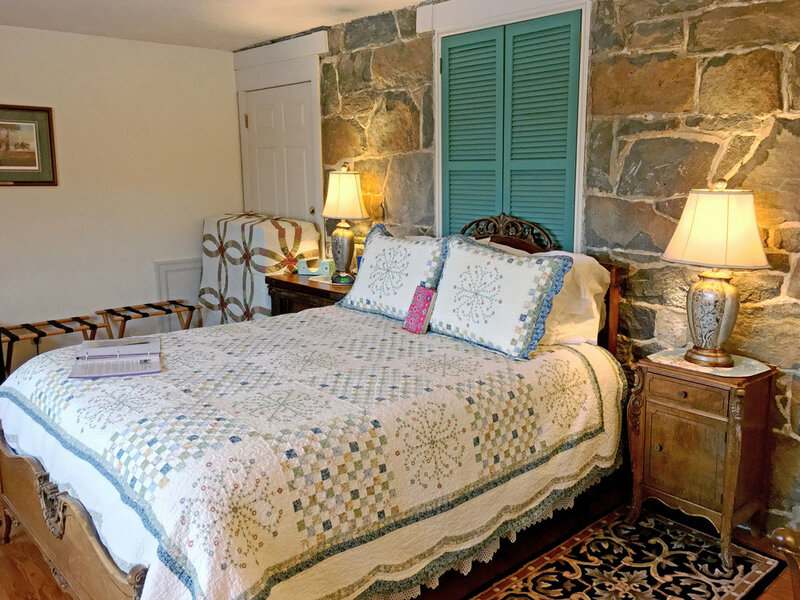 The beautiful stone of the 1809 building makes up the wall behind the master bed. 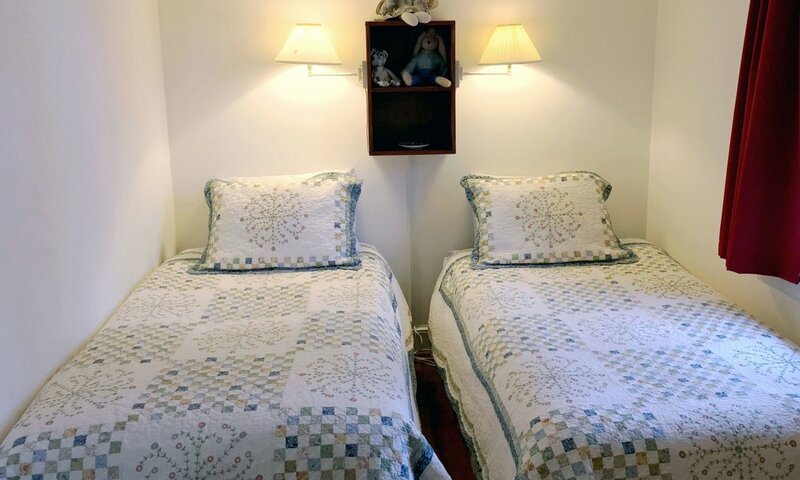 DOG TRAVELERS: This ground-floor room has a door directly to the outside. 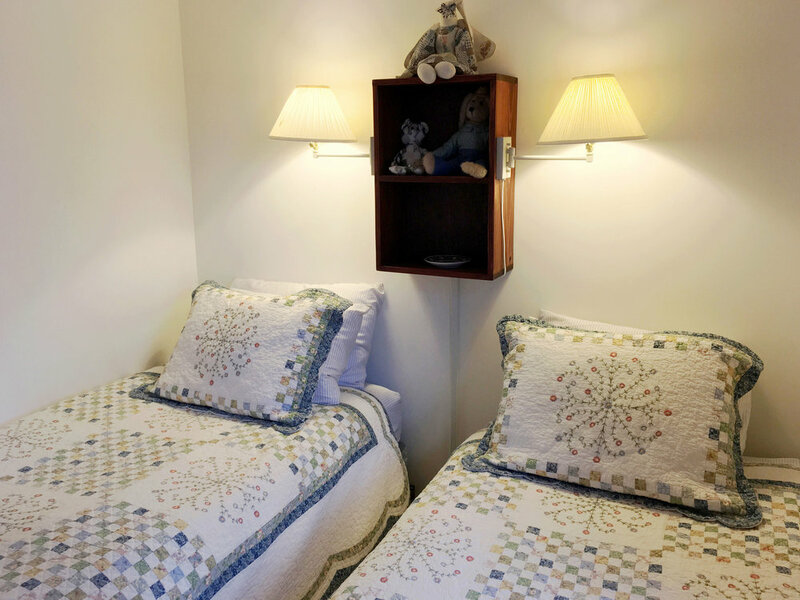 ACCESSIBILITY: If you are looking for a fully handicap accessible room, the Tack Room is a better choice, but this room is suitable for many guests with limited mobility. Call us if you would like to discuss your needs.